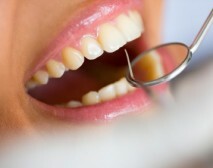 Dental Filling Choices – What’s Right for Me? Several factors influence the performance, durability, longevity and cost of dental restorations. These factors include: the patient’s oral and general health, the components used in the filling material; where and how the filling is placed; the chewing load that the tooth will have to bear; and the length and number of visits needed to prepare and adjust the restored tooth. With so many choices, how do you know what’s right for you? To help you better understand what’s available, here are the advantages and disadvantages of commonly used dental restorations.